Here is another worksheet that you can use to give your students some additional practice with identifying money and values. 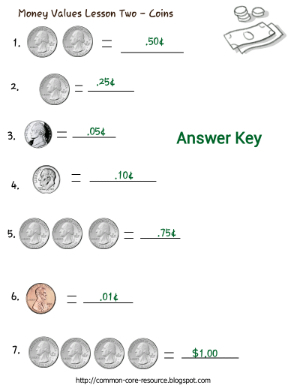 Giving students additional practice with these money worksheets will help to increase their confidence because they will be able to apply what they learned and do the money worksheets independently. Once they have completed Money Values Lesson Two, they will be ready for the first set of Money Word Problems. 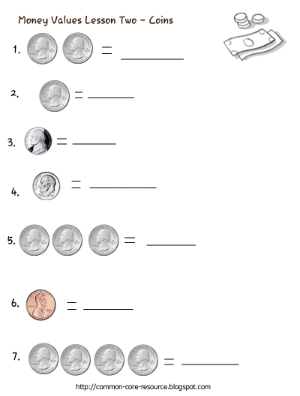 The Money Word Problems Worksheet, builds upon the concepts demonstrated in the first set of money worksheets along with using skip counting by fives and tens. 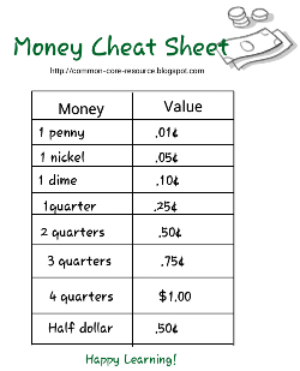 If you need the Money Cheat Sheet, click here.